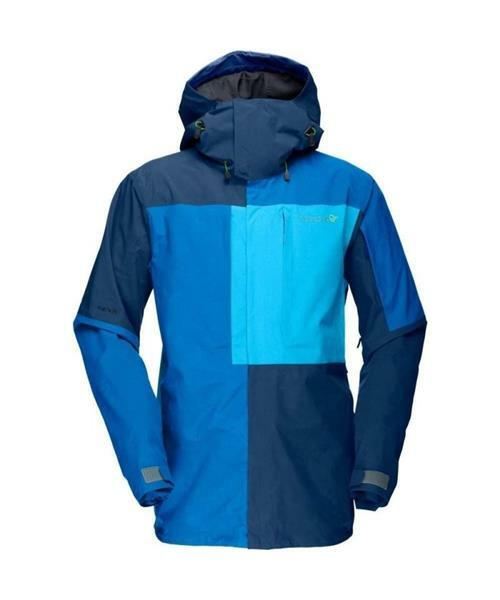 Norrona's softest jacket for freestyle in the slopes or backcountry. The jacket has a baggy and long cut for ski and snowboarding. Hand warming pockets, hand gaiters, snap seal powder skirt system, underarm vent with mesh and radio/keycard pocket. Made with a special recycled nylon, waterproof and breathable GORE-TEX® fabric. Also has a soft, brushed liner for better comfort and insulation.